Yep, that's a baby bump!! Our family is over the moon excited about welcoming our 3rd baby into the family. We are expecting him or her to make their appearance sometime in March. Anyway, on to the new cardi! I'm never taking it off. Like ever. It is crazy comfy! 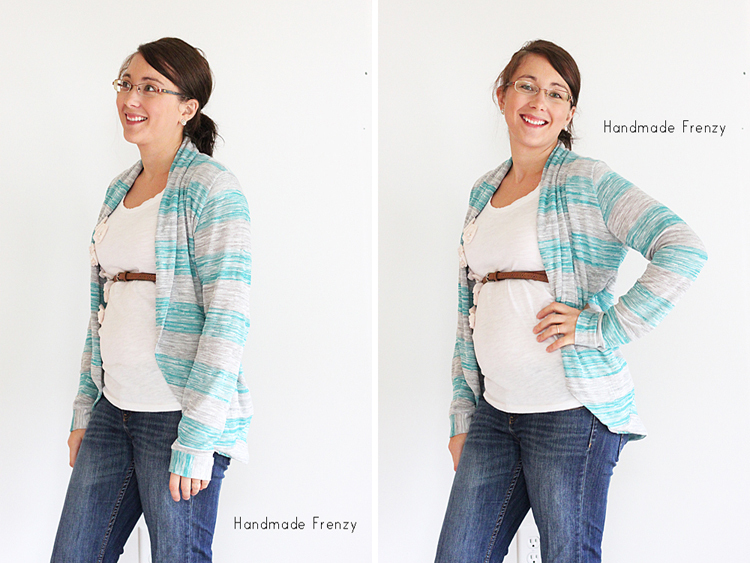 I found this lightweight sweater knit in the red tag section at Joanns a while back and knew immediately I wanted to make a Julia Cardigan out of it for the fall/winter. It could not have turned out any better in my opinion. The drape of the fabric is perfection. I'm 5'3", and according to the size chart I was a near perfect size medium so that's what I made. I made no changes other than making the cuffs and bottoms of the sleeves narrower as per pattern instructions. I like to be able to pull my sleeves up and with the looser sleeve I knew it would be a problem to have them stay there. I loooove the length as well. The sleeves would be a teensy bit long on me if I wouldn't have adjusted the cuffs, but with that adjustment they don't hang too low at all. The length in the back is perfection in my opinion. I struggle with feeling cute when I'm pregnant. I'm not one of those who is "all belly". Far cry from that. Instead my whole torso and "ahem" lower region tend to just turn into the apple shape... I don't really "pop" with a belly until about 30 weeks. Yep. Seriously. 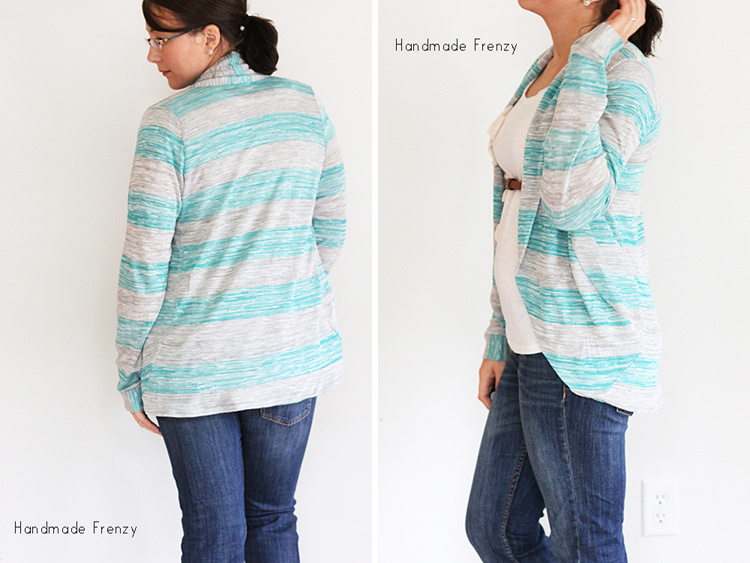 So this cardigan is so perfect for me and I'm SO excited about it! 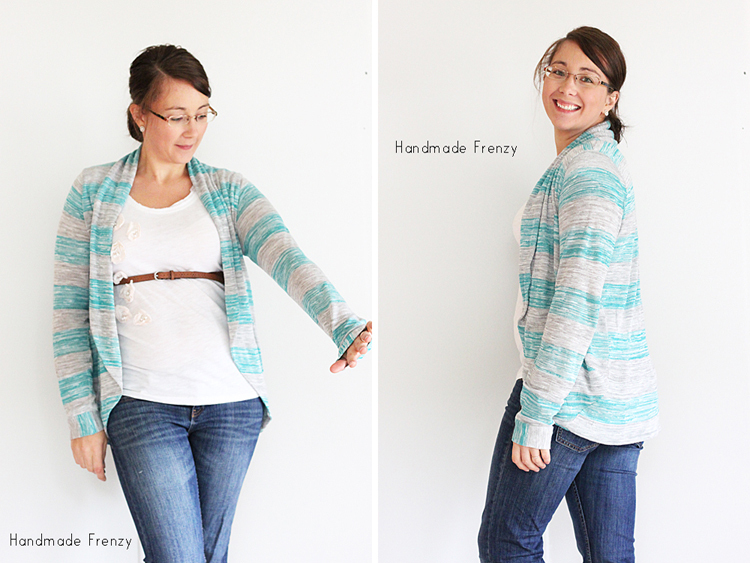 Throw on a tee and a belt for a little definition with the cardi on top and I am good to go! Another rather exciting thing is that this is my first pregnancy where I get to be pregnant during the winter. So bring ON those cardis and cute layers! My other two were born in late August and early September. No layers for me then... And I did not feel one bit cute either, lol. I do love the little belly I have though, because it is proof that there is that healthy little bean growing in there. And that is something we have prayed for for a while. God is good. *Disclosure. I purchased the pattern and the fabric on my own, it was not given to me for any reason. As always, all opinions are honest and my own. Congrats Heidi!!! That is so exciting!!! Congrats Heidi!!! This is so exciting! Cute sweater too!!! 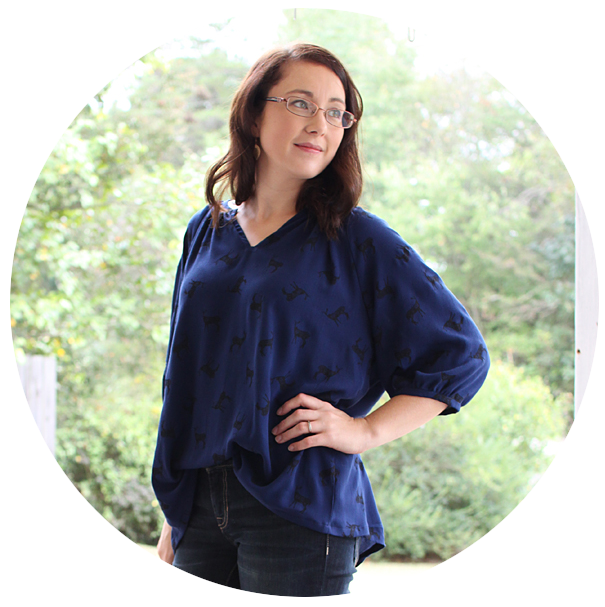 Congratulations on your gorgeous cardi! And the baby of course!!! congrats!!! You look lovely and the cardigan is beautiful too!